Since 2002 Athena has shared Yoga with students of many levels ranging from kids yoga and corporate yoga, to seniors yoga and various styles from restorative and prenatal to vinyasa and alignment-based flow. 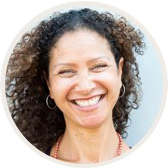 Her love of healing movement prompted her to continue sharing and in 2008 she began certifying and training others with Cloud Nine Yoga School to become yoga teachers at the 500 hour Advanced level through the Yoga Alliance. In 2012 Athena became a Certified Pilates Instructor, training in Pilates as rehab for a hip injury, she decided to further her education and train to become a Pilates instructor. She moved to Costa Rica where she trained and worked at Pilates Nosara. Having seen firsthand how Pilates, Yoga and Functional Training compliment one another, Athena is a huge advocate for utilizing all three modalities in her daily regimen. Her experience spreads across many states and countries giving her the multicultural experience of teaching active and healthy lifestyles to tourists and locals alike. In 2005 she created Live Your Yoga Retreats as a way to share her love of Yoga, Pilates and Travel. Athena leads group retreats in the states as well as internationally. She’s happy to be here and cannot wait to meet you and share in the experience that is Pilates, Yoga and Travel.